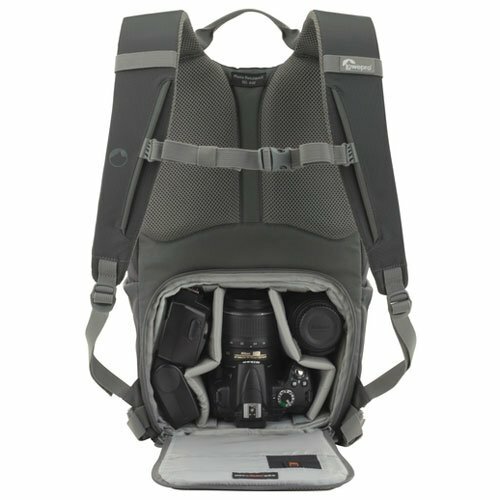 If you are looking for a backpack that can hold full sized professional dslr with 2-3 decent sized lenses and some other daily purpose articles like tablet pc, spare batteries, lunch box and may be a jacket. Then look no further. 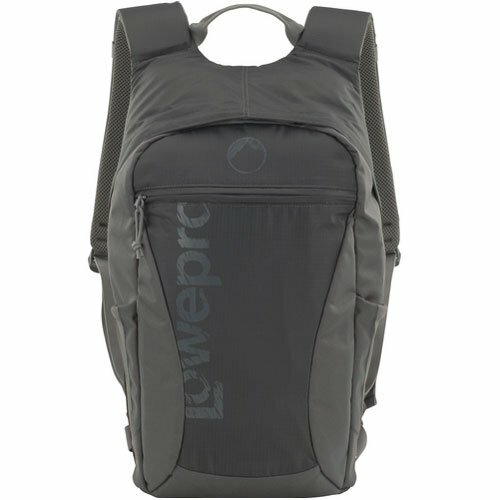 Just take my word and buy the amazing Lowepro Photo Hatchback 22L AW Backpack without a second thought. I have used this bag for more than an year now and trust me it has served me more than what I have paid for. 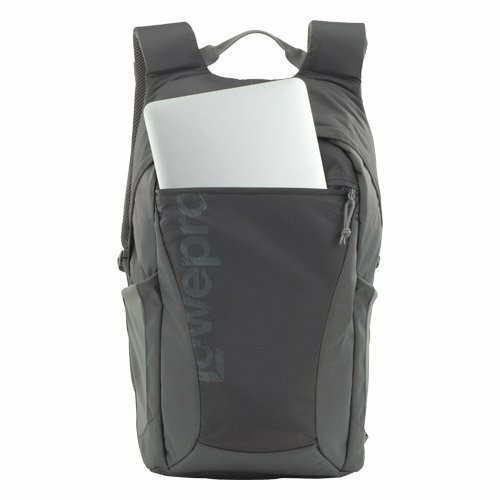 There is also a 16 Litre variant in the market for this bag called as Lowepro Photo Hatchback 16L AW. The only difference between them is the capacity and nothing else. The build, design and features are completely identical. You can also go for the 16 L variant if have a small DSLR like D3200 or D5200, but if you own anything like a Nikon D7000 or above then you better buy the 22L. This backpack is not too big to become a burden yet not too small so you have to compromise over what to pack. Also the camera compartment is detachable and this bag can be used as a normal daily use backpack which is again pretty useful. There is lot of padding to protect your gear and the straps are also very ergonomic and comfortable. Lowepro’s patented rain cover is there to serve you in rain just in case. overall there is enough room to hold supply for a couple of days. 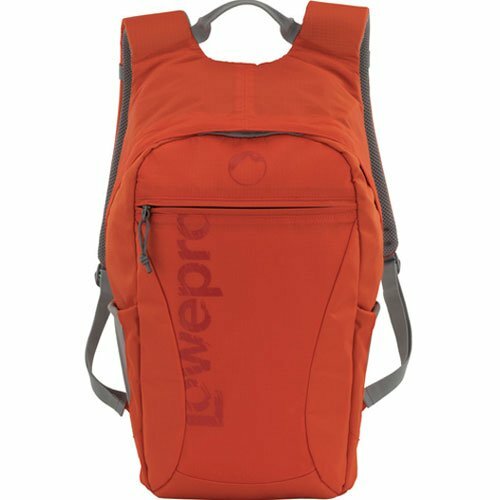 Price of Lowepro Photo Hatchback 22L AW Backpack is $68 Approx Get Latest Price! Full frame DLSR with attached zoom lens (up to 18-105mm zoom) along with 2-3 extra lenses, flash or other accessories like batteries, charger etc. A Tablet Pc or something similar to a MacBook Air® 11″ , a Water bottle, extra gear (a tripod maybe) and some personal items. I would give Lowepro Photo Hatchback 22L AW Backpack 8/10 marks for comfort. The backside padding is covered with a soft mesh and provides breathable comfort for all day wearing. Shoulder straps are also well padded. Multiple adjustment points are there to provide a custom and comfortable fit across shoulder straps, sternum and waist. Also the camera compartment is located on the bottom which is going to keep the centre of gravity low. Such placement keep your overall posture pretty stable if you are out for hiking or even if you have the requirement to carry around your equipment for prolonged period of time. 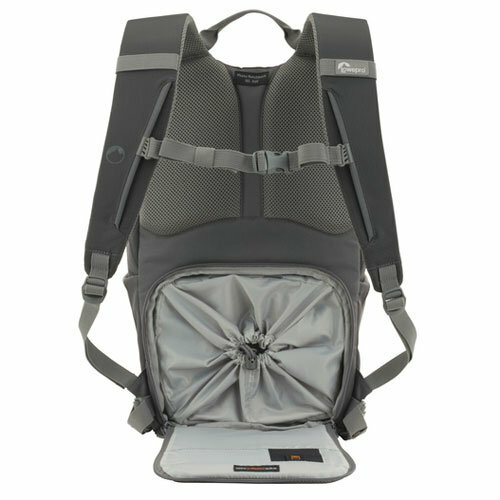 Lowepro’s SlipLock ™ attachment loops on shoulder straps expand the over all carrying capacity. Webbing grab handle is there on the top in case you need that as an alternative way to carry around. The front zipper pocket has two sub division and is large enough to hold a tablet pc, some magazines or something equivalent to a to a MacBook Air® 11″ as I already mentioned above. 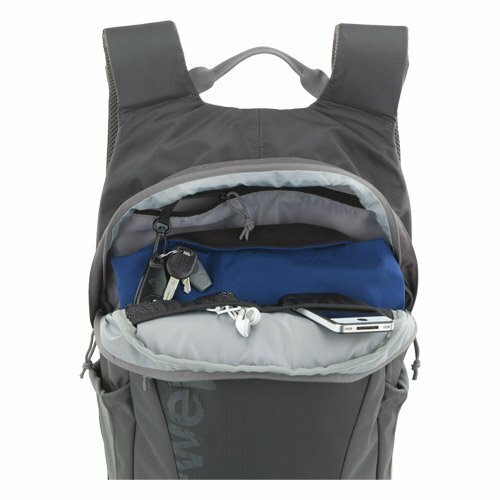 The upper compartment provides plenty of space for personal items (lunch, jacket, sunglasses, etc) and includes a zipper pocket with built-in key fob and 2 stretch-mesh pockets where you can stack your charger, extra battery or some other stuff (I usually keep a hand-sanitizer and napkins). Tall, stretch mesh pockets are there on either side to offer great storage for water bottles or additional equipment like a small tripod (Don’t expect to fit any medium or large ones). Built-in memory card pocket is there on the hatch of camera compartment to provides a convenient place to store spare memory or may be some cash. One of the coolest feature I love about this bas is the ability to transform it into a regular day backpack by taking out the camera insert. 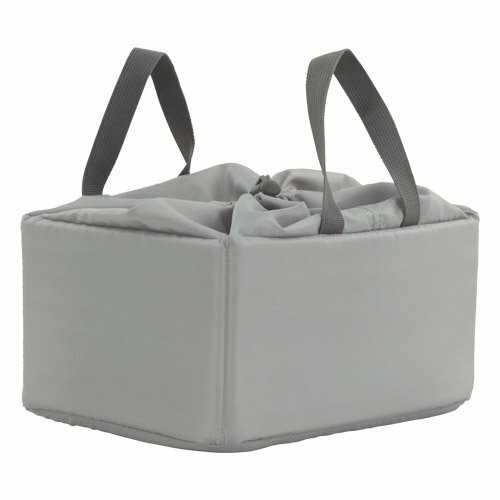 The camera compartment is a well padded removable insert that you can take out and carry separately also it has its own handle and cover for added portability and security. 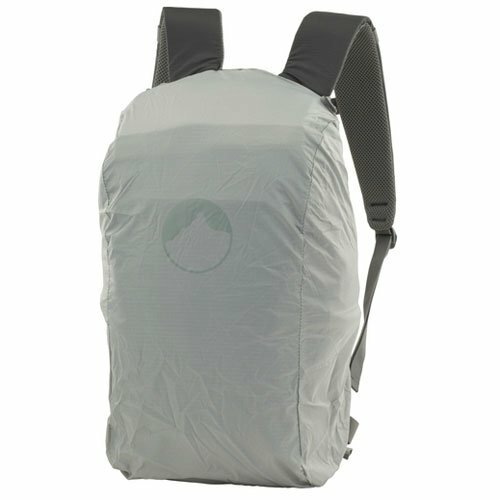 Even though this backpack is made up of water resistant fabric Lowepro has provided a unique built-in All Weather AW Cover™ tucked into a small Velcro pocket on the bottom, which you can use to cover this bag in case of rain. This is a necessary and well implemented feature and you never know when you might need that. 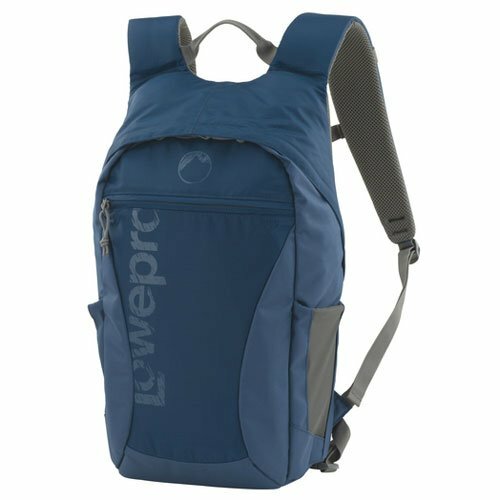 Lastly Lowepro is selling Photo Hatchback 22L AW Backpack in three colour variants Slate Grey, Galaxy Blue and Pepper Red (more like orange). Hatch-back Design for easy access and concealing your expensive gear. Side-pockets are good for just a water bottle. You can’t fit a regular sized laptop. Well if you are out there in market to get a backpack in which you can fit your Dslr with 2-3 lenses and some other personal items, Lowepro Photo Hatchback 22L AW Backpack is your best bet under $100 for now. 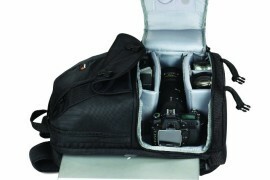 With all the features I mentioned above this bag is a steal for the price it is being sold. The 16L variant is there to choose but is good for mirror-less and compact cameras only. 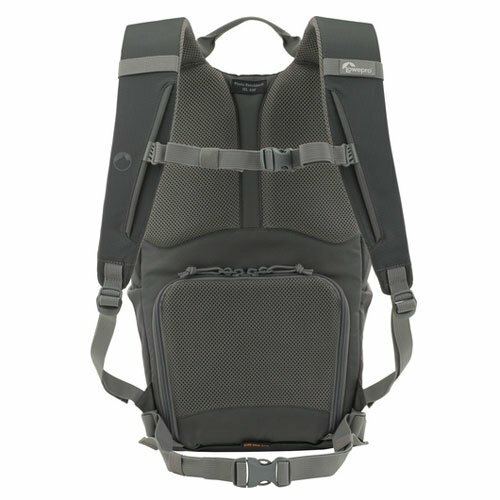 If you are tight on budget there is this Lowepro Fastpack 250 available some $20 cheaper and has a side entry compartment for easily accessing the gear. 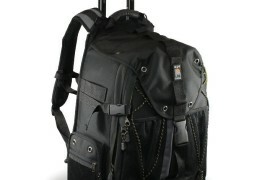 Also is has a full fledged pocket to fit your Laptop/Notebooks unlike the Photo Hatchback 22L. The build quality is decent if not the same and price is sweet.